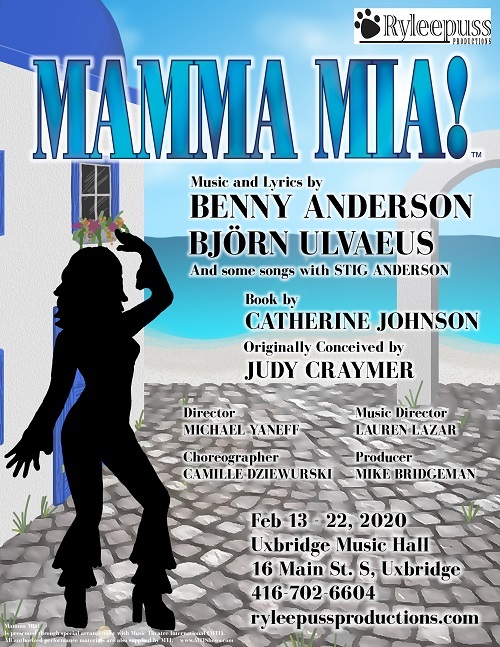 Ryleepuss Productions presents: Mamma Mia at the Uxbridge Music Hall. All tickets are: $25.00 for adults, $22.00 for seniors, $18.00 for students. Groups of 10 or more: $22.00 for adults, $18.00 for seniors, $18.00 for students. February 13th special performance rate: Buy one ticket at regular price (adult only), get the second ticket half price. All tickets include taxes, ticket fees and Music Hall Improvement Fund.